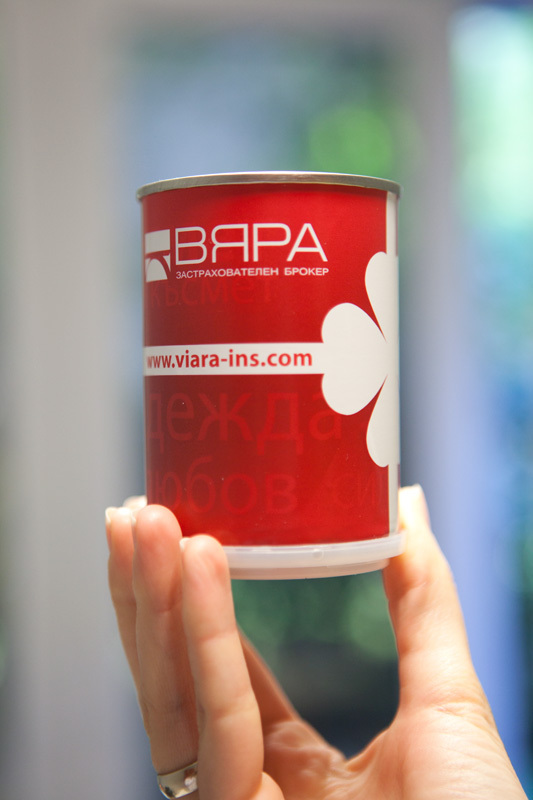 One of our clients is Viara Ins (Bulgarian insurance company). 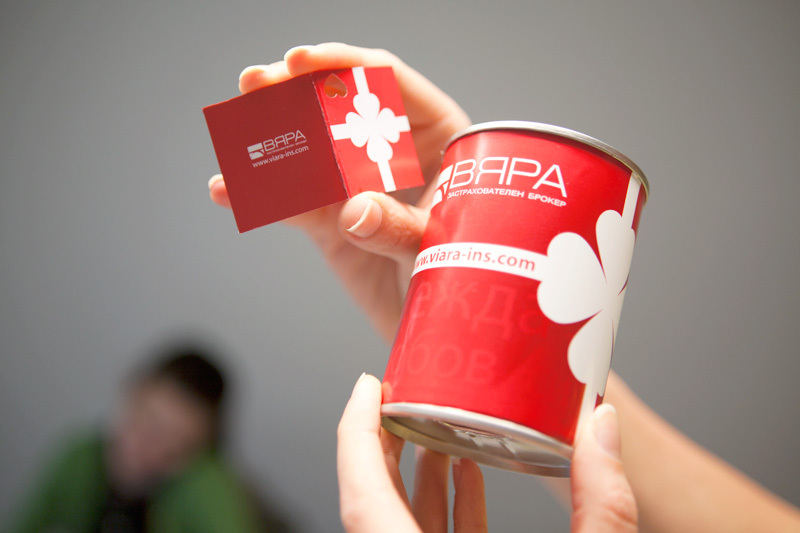 They gave us the pleasant task to brand this creative corporate present by creating a special gift design. 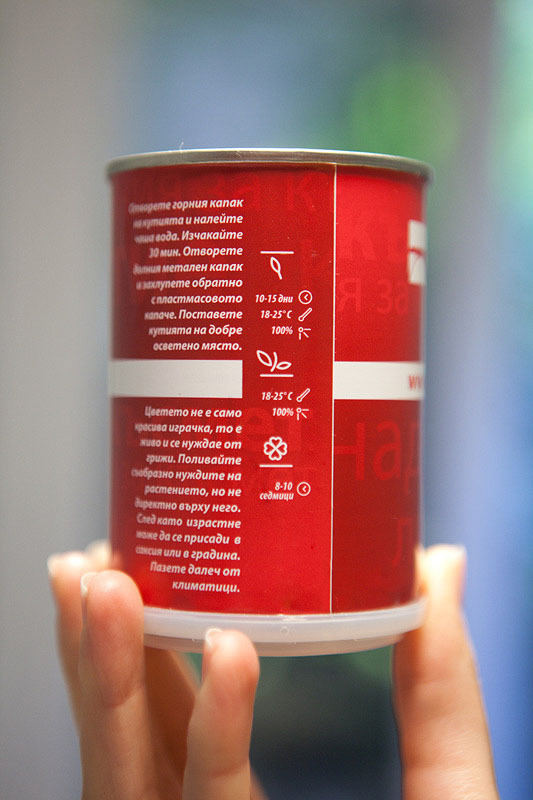 This is a metal can with clover seeds inside. The can was already branded so we had to hide the original print. 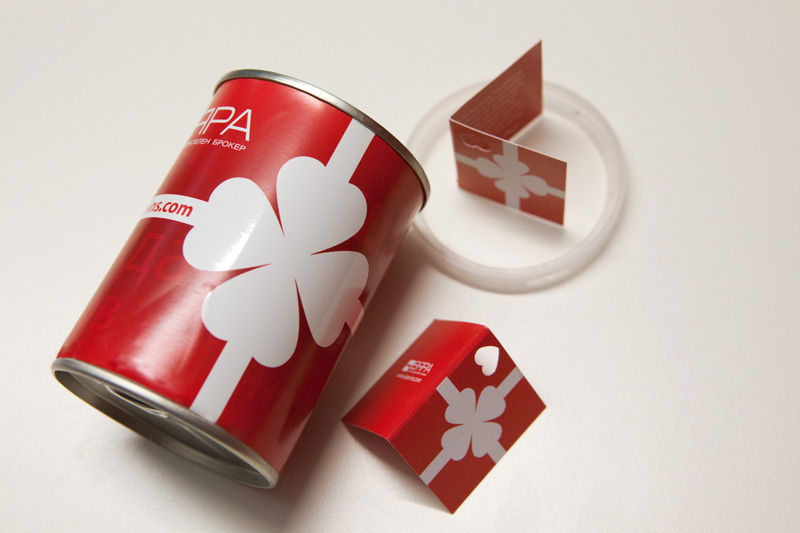 We designed a 1-color (PANTONE) semi-glossy sticker to cover the can and made a little gift card as a part of the present. The 4-leaves clover is a symbol of luck, the words in the background carry positive wishes for health, happiness, love, hope, etc. A few simple vector pictograms at the back explain the stages of growth, timing, temperature, air and light conditions that are good for the plant.